There is nothing like a good love story. There is also nothing like a good monster love story. I didn’t know that until seeing Spring last week, but Justin Benson and Aaron Moorhead (Resolution) make the genre work on screen. Similar to Resolution, the story in Spring builds at a slow place with an even mix of mystery and suspense while the characters and plot are developed. Evan is one of the main characters in Spring and the story focuses on his decision to travel to Italy as a way to escape his past and struggles in life. Evan quickly finds friends to backpack with and meets a local student, Louise, during their travels. Evan is instantly smitten with Louise and drawn to her, but she is hesitant to go out with him. As fate would have it, they keep running into each other after Evan stays in the city where she lives and finds a job on a local farm. The backdrop of a foreign country really works for the film, not only because of the scenery Moorhead and Benson were able to capture, but also because it adds to the feeling that Evan doesn’t really know what he is getting himself into by living in a new place and pursuing Louise. 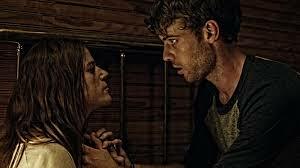 Evan is persistent with Louise and the resulting first date scene between the two characters is one of my favorites in the film. Both characters are still of a bit of a mystery to each other at this point. Evan isn’t revealing all of what brought him to Italy while Louise remains secretive about her background. Evan’s place in life is one where he is seeking happiness and a new start and he seems to think he has nothing to lose with Louise. At her request, Evan writes Louise a note at the end of their date to convince her to continue to spending time with him. 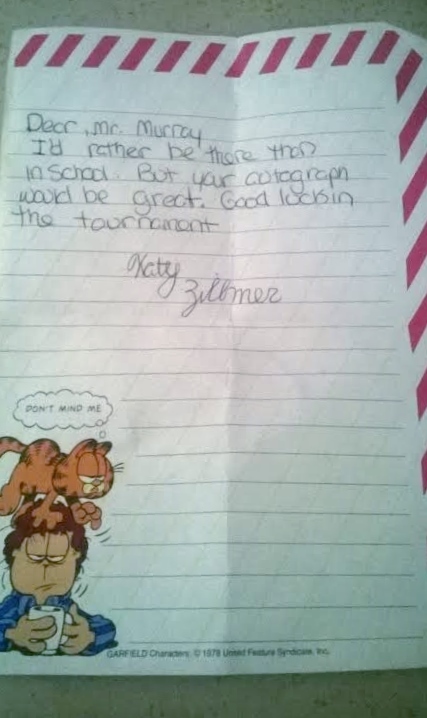 The contents of the note aren’t revealed, which only adds to the mystery of the film and Louise’s character. Louise is hesitant to be with Evan for a reason that becomes more and more clear as her character develops. It’s evident Louise sees something in Evan she doesn’t want to, or perhaps can’t, resist. They become close after only a few days but Louise still manages to avoid Evan at times, perhaps to protect him. But Evan is convinced Louise is the love of his life and continues to have no fear, even when he should. He does find out what Louise is being so secretive about, I won’t spoil it, and it is a turning point for both characters and their relationship. Moorhead and Benson’s choice to slowly build to the point when Evan knows Louise’s secret, while giving the viewer tidbits of it here and there, is effective and provides a platform to conclude both the love story and mystery at the same time. Maybe this is TMI (meaning I don’t know if I want to share this) but I was actually in tears during the ending of the film and I don’t cry from movies all that often. Sometimes a good love story will just get to you, even when it is mixed with a bit of fright and blood and gore. 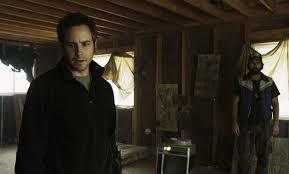 Moorhead and Benson’s talent for character development while building suspense and fear in their audience shows in Spring, especially through the visual effects and soundtrack. If there is an underlying theme of the film, perhaps it is people aren’t always who they appear to be and you need to take some chances in life. Spring has been popular on the film festival circuit and had a short run in Minneapolis. More details on where to see or buy the film are on the Drafthouse Films website. In other news, I need to see Kumiko, The Treasure Hunter this week as it also will only be in the theaters for a few more days. I’ll report back and one of these days I’ll finish my drafts about Wild Tales, Merchants of Doubt and Ballet 422. I don’t know what came over me but I decided to watch some horror movies by myself on Sunday after receiving this list of recommendations on the A.V. Club website. My choices of what to watch were limited to what is streaming on Netflix, but there are some good selections available until some of the other films on the list are in theaters or added to streaming services. For starters I watched “Resolution” which, and this is coming from someone who doesn’t handle fear all that well, was not that scary. It was more suspenseful in the sense that something horrible could have happened at any moment but any real fright was kept at bay, at least for me. The story centers on Mike (Peter Ciella) who travels to a remote cabin near an Indian reservation to help his friend Chris (Vinny Curran) either go to rehab or kick his drug addiction in a week-long intervention where he is hand-cuffed to a pipe. Chris doesn’t really have a choice when Mike cuffs him to the pipe anyway, but not being able to leave the cabin was really the least of his worries. From the beginning it is clear that Chris and Mike are being watched and are not welcome at the cabin. But who, or what, was watching them, remained unknown, at least for me. Mike has a laptop with him and soon enough there are recordings of he and Chris on the screen as they try to watch something else. It’s also not long before drawings from an unknown source start to appear on the walls of the cabin and creepy people are seen staring at them through the windows. The film is only an hour-and-a-half long and the climax probably isn’t until the last 15 to 20 minutes. While it isn’t as scary as I thought it would be (no complaints there), I enjoyed the mysteriousness of the film and I am curious to see the other work of Justin Benson and Aaron Scott Moorhead. Lucky for me, they have a new movie coming out which looks to be a step up in the fear factor department but similar to “Resolution” in terms of the amount of focus on character development. It is about a young man from the U.S. who travels to Italy to escape his past, only to meet a woman who he thinks is the love of his life. She has secrets that are definitely more than emotional baggage or a boyfriend she is not telling him about. It looks fantastic, unique and beautifully filmed and, being that it will be in the theater for less than a week, I am definitely going to try to see it this weekend. Before I move on to the other horror movies (what has come over me?) I am excited to see, I did also watch “Honeymoon” as part of my Sunday scares this week. It has a little bit more of the stereotypical horror film characteristics when compared to “Resolution,” such as loud noises before something scary happens, flickering lights and good share of blood and gore. The main characters in the film are newlyweds spending their honeymoon week at a cabin in the woods. It isn’t long before Bea starts to exhibit strange behaviors like sleepwalking and develop mysterious scars that begin to worry her husband, Paul. 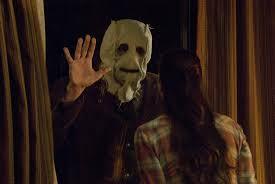 The loud knocks on the door in “The Strangers” are enough to make me cover my eyes even just thinking about them now. It’s hard to believe I’ve seen that movie twice. Here is a review I wrote of it back in the good ol’ days when I worked at a newspaper. Among new releases, I’ve been hearing a lot of buzz about It Follows, which is also on the A.V. Club list I mentioned earlier. “The Boy” and “Unfriended,” which tackles the topic of the consequences of too much social media use and bullying by our young ones, recently had premieres at SXSW. Maybe I have horror movies on the brain because the weather in Minnesota right now feels more like late October and Halloween time than March, when spring should be on the way any day now. I hope these recommendations fit the type of scary movie you like, just remember to have a stock of cartoons or comedies on hand to watch as a palette cleanser. Or just watch this mash-up of movie dance scenes on repeat. Oh wait, I almost forgot, there is also a horror comedy movie coming out soon that looks like the best of both worlds. Zombeavers (about zombie beavers in case you didn’t get that from the title) will be in select theaters later this month as well as on cable and Itunes. Enjoy the show(s), if you dare. 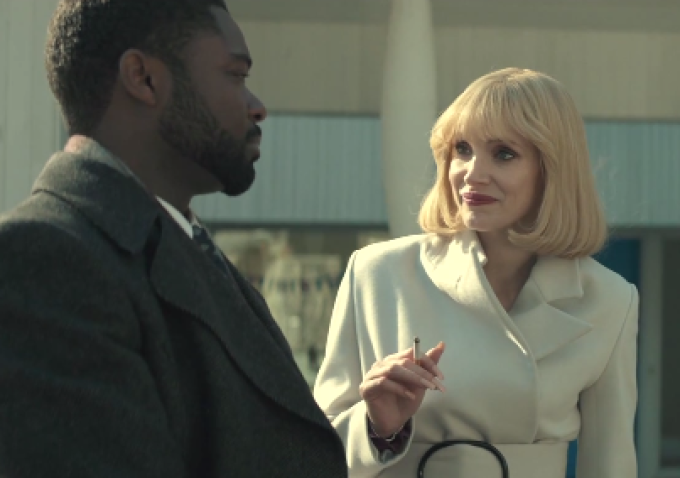 Well If there is one thing I learned from watching A Most Violent Year, Jessica Chastain certainly knows how to put a district attorney who interrupts her daughter’s birthday party with a search warrant in his place. I believe “This was very disrespectful,” was the line from Chastain’s character, Anna Morales, as she leaves the attorney Lawrence (David Oyelowo) in the driveway with a piece of birthday cake while she politely ushers her guests out the door with party favors. She does this while donning a 1981 haircut, outfit and manicure with her posh baby blue Mercedes somewhere in the vicinity. Oh and there is that cig in her hand. I don’t know how anyone cannot love Chastain after seeing her performance in this film. She is having a moment. Chastain’s role is the wife of Abel Moreles (Oscar Isaac) who is trying to keep his business running and protect his family as violence in New York City runs rampant. Morales’ business is a target of crooks, or perhaps his competition, who are stealing his fuel trucks to make a buck and put him out on the street. The crime goes so far as to impact his home life, case in point when his daughter finds a loaded gun in the bushes. But Anna has her own ways of protecting the business and motives to keep Abel afloat and her children safe. In the end it’s really a story of who you can trust and what people will do to get what they want. Even Lawrence, seemingly trying to save the city, might not be entirely innocent, even if he hasn’t broken the law. Like Chastain, I would say Isaac is having a moment too. He certainly is a versatile actor, as demonstrated by his performances in the Coen brothers’ Inside Llewyn Davis and a darker, more violent film, Drive. He was also in The Two Faces of January (currently streaming on Netflix) last year. The film is based on a Patricia Highsmith novel and costars Kirsten Dunst and Viggo Mortensen. I liked the film, especially because it has undertones of The Talented Mr. Ripley. If you haven’t seen many of Chastain’s films, definitely see Zero Dark Thirty and, while it was extremely sad, The Disappearance of Eleanor Rigby. She also has six films currently in production, including The Martian alongside none other than Matt Damon. All her other films look good too, but did I mention Matt Damon? It’s been a while, but I know I’ve done my share of gushing about him on this blog and now he’s doing a movie with my girl Jessica Chastain. It doesn’t get much better than that. Damon’s character is an astronaut who becomes stranded in space after a failed mission to Mars. After a storm causes Mark Watney (Damon) to be left behind he needs to “draw upon his ingenuity, wit and spirit to subsist and find a way to signal to Earth that he is alive,” according to the film synopsis. if Matt Damon himself were actually stuck in space, I am sure he could find his way home. But I may be biased. This brings me to a conversation I had with my coworkers at the movie theater … which celebrity would make you puke (from being nervous) if you were able to meet them? I certainly hope I wouldn’t actually puke, but my answer was of course Matt Damon. And a close second, if not a tie, would be Bill Murray. But we all know how elusive he is these days. All you can hope is that he will randomly show up at your birthday party or something and not call you out for being disrespectful. 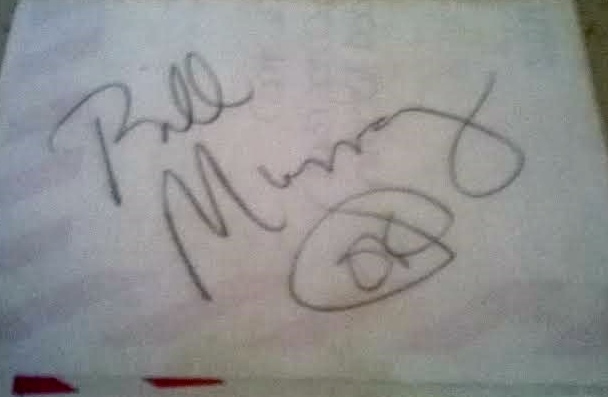 Lucky for me, I do have his autograph as well as picture of him somewhere (which I need to find – so stay tuned.) 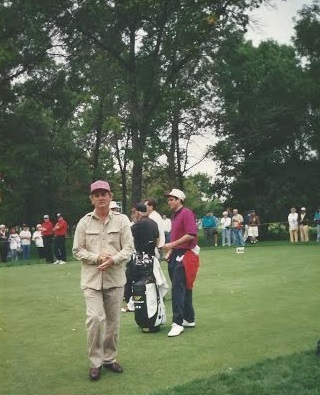 He was playing golf at the Greater Milwaukee Open in 1994 and I gave my Dad a note to “Mr. Murray” with the hopes he would sign it. I wasn’t allowed to miss school, as I remember it, to see Murray but I can’t complain about having this to show for it. I don’t have much time because I decided I need to go see Whiplash for a third time today. It is still one of my favorite movies from last year and, since I spend most of my weekends working at a movie theater, I can go see it for free. I’ll start with another film that is available to rent now, Big Hero 6. I was in the mood for something lighthearted last weekend and plus one of my favorite comedians, T.J. Miller, is the voice of one of the characters. I saw it at the budget theater, which wasn’t the greatest experience (speaking from the perspective of a customer who also knows a little about the movie theater biz), but it was fun to see it with kids in the theater and hear their reactions to the film. The story focuses on a young boy, Hiro, and his relationship with a robot that his brother designed. The robot, Baymax, was originally created to help people when they’re sick but Hiro, after a family tragedy, programs him to have more superpowers and more or less save the world from the bad guys. I could be more specific since I don’t think spoiling an animated movie can do that much harm, but I didn’t know anything about the plot before I saw the movie and I think that made it all the more enjoyable. Big Hero 6 won the Oscar this year for best animated feature film. Interestingly, T.J. Miller did voice acting in another one of the nominated films, How To Train Your Dragon 2. I haven’t seen that one or the other nominees so I can’t speak to whether it was deserving of the win from that perspective. But, it is a funny, heartfelt film and is fitting to watch no matter what mood you’re in. The other two films I saw recently, Two Days, One Night and She’s Beautiful When She’s Angry, take a little bit more emotional preparation but are definitely both worth watching. Two Days, One Night stars Marion Cotillard as Sandra, who is faced with losing her job unless she convinces her coworkers to give up their bonuses so her boss can afford to keep her on staff. The employees all have to vote one way or the other so Sandra spends two days visiting with them to save her job and be able to help provide for her husband and kids. The filming style was very minimalist, which adds to the experience of understanding Sandra’s struggle. She needs to save her job after she missed work due to being in the hospital and suffering from depression. I read that it was filmed in chronological order, which is an effective choice here since the story focuses so much on the time Sandra has before the decision will be made. it is hard to watch at times but provides a real glimpse into human nature and the tough decisions people have to make even when they care about someone. Most of Sandra’s coworkers did not want to make the decision but it did bring her closer together with some of them as well as her family during the process. Cotillard was nominated for an Oscar for her performance in the film, and deservedly so. The filming style and intense focus on Sandra as a person show how much Cotillard embodied the character. Two Days, One Night had a limited theatrical release but it should be available to rent soon. Last, but certainly not least, if you’re in the mood for a documentary, put She’s Beautiful When She’s Angry on your list. It also had a limited theatrical release but check the website for screenings or where to rent it in the future. 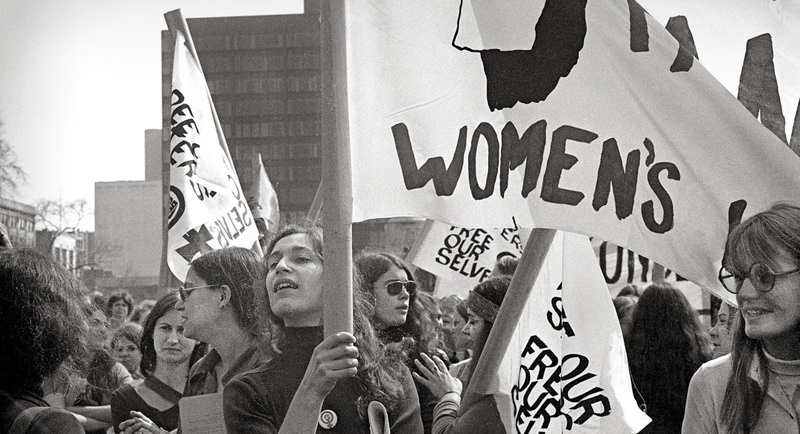 The film is about some key players in the women’s movement from the late 1960s to early 1970s and features a historical look at the founding of organizations such as NOW as well as what the activists did for women’s rights and to overcome their own personal struggles. It is a good refresher and lesson for someone (okay, me) who maybe spent a lot of time daydreaming in history class with the addition of learning about the personal stories of activists from the women’s movement. The documentary mixes current interviews with historical footage and pictures of protests and speeches that did a lot to change the rights women have. At the same time, it also highlights what still needs to be done in today’s society. I am certainly guilty of watching movies I like over and over again, (ahem, did you see Whiplash yet? ), but I try to expand my horizons too. 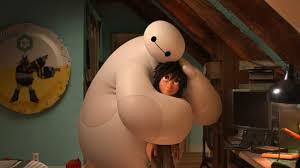 Two Days, One Night, She’s Beautiful When She’s Angry and even Big Hero 6 have done that. In addition to Whiplash, I am going to see A Most Violent Year, later today and Wild Tales tomorrow. 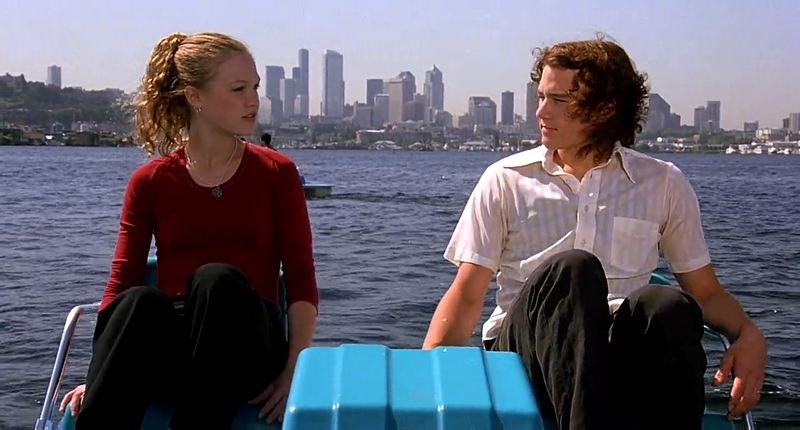 I hope I have convinced you to watch one of these films but, especially if you graduated high school circa 1999, I permit you to revisit 10 Things I Hate About You. It holds up. I could listen to someone from New Zealand talk forever. That’s just one of the many reasons I was excited to see “What We Do in the Shadows,” written and directed by Jemaine Clement and Taika Waititi, this weekend. The film is a comedy focusing on a group of vampires living together in New Zealand and trying to fit in with modern society while developing an agreeable roommate relationship that will not interfere with their eternal friendships. 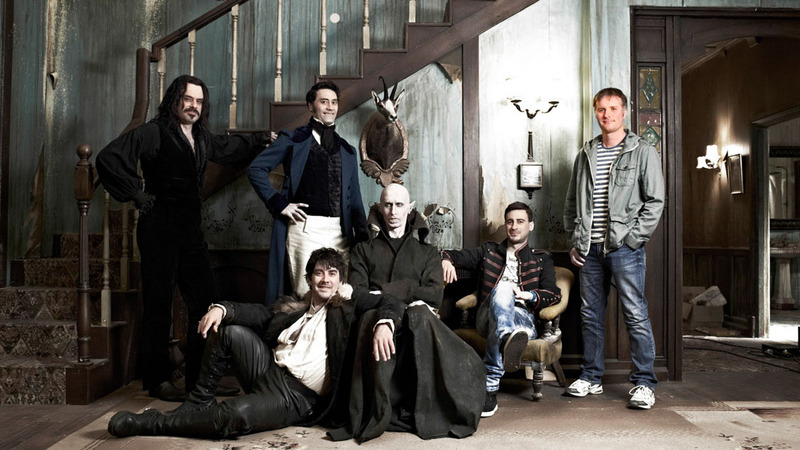 Clement and Waititi also star in the film as Vladislav and Viago and live with two other vampires, Deacon and Peter. As they try to find happiness and victims that allow them to survive, the vampires welcome a documentary film crew to follow them around and record their escapades and conflicts at home and out on the town. They also take in a younger vampire, Nick, (from Twilight!) and a human friend, Stu, who they vow not to kill and turn into a vampire. Clement and Waititi effectively weave in lore about vampires (such as that they can’t see themselves in mirrors and sleep during the day) with allowing characters to discover modern things like the Internet and digital cameras. The visual and verbal humor is consistent throughout the film and it’s one that’s fun to see in a crowded theater. The late show I saw on Friday had a good crowd and I hope the film continues to build an audience. One of my favorite parts of the film is knowing going into it (after hearing interviews with Clement and Waititi on the Nerdist podcast as well as an episode of Sklarbro Country) how passionate they were about their idea and getting the film made. “Flight of the Conchords” was a cult classic, of course, and I also recommend Darby’s series, “Short Poppies, which is streaming on Netflix. The show is also filmed in a documentary style and is based on a journalist profiling people in a small town in New Zealand, all characters played by Darby. Fans of Clement and Waititi will definitely like this film and I hope they develop a whole new audience and continue to work on more projects together. In the meantime, because of a reference in the film, I think I will watch “The Lost Boys” soon. It seems like it is a movie that will be enjoyable today even though I didn’t see it at the time it was released in 1987. In other news, thanks to the trailers before “What We Do in the Shadows,” my calendar is marked to see “Kumiko, The Treasure Hunter,” about a Japanese woman who watches the movie Fargo and believes it includes clues to finding a large amount of money in the U.S., later this month. I also may see Big Hero 6 today. AND ICYMI (how could you) season 3 of House of Cards is on Netflix now. Okay, that is all. Bye!